What _is_ the deal with that pan gasket? 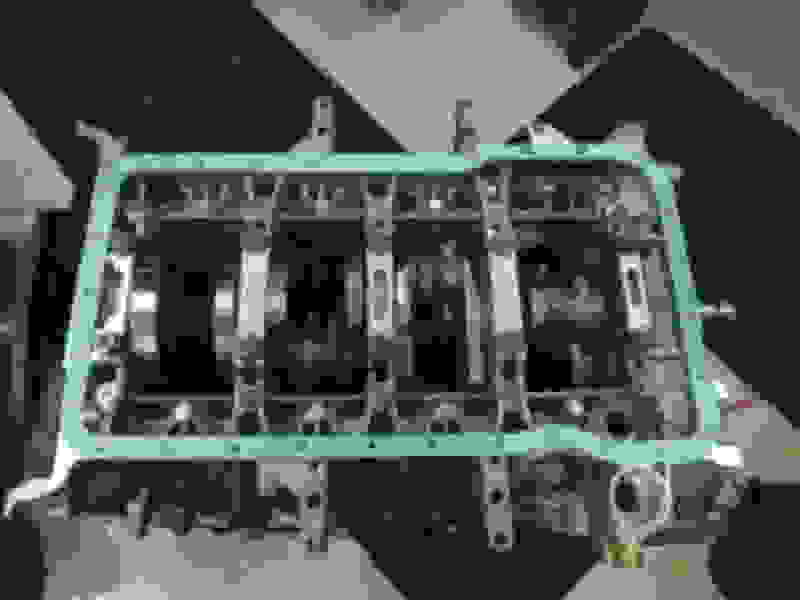 The pan gasket is green because the rods are aftermarket and even the crank as it doesn’t look like the right color. It’s St Patricks day gasket!!! A few of holes are off center and the holes are way too big. What's up with that? Larger holes for spacers to prevent crushing? Perhaps the material has been properly changed to a Fluorosilicone rubber (normally bluish), which is compatible with fuel and oil vs. silicone rubber (reddish), which is not? I think I see a new GB inspired pan gasket to better all pan gaskets. Finally got tired of the cork? classic color on these bikes. Looks good as a gasket as well.! If this is the long awaited Greg Brown 'Improved, Take No Prisoners Oil Pan Gasket'...then SIGN ME UP!!!!!!!!!!!!! !